Apsley Cherry-Garrard was only 24 when he set off in 1910 with Scott's expedition to Antarctica. The aim of the expedition was scientific but Scott also wanted to be the first man to reach the South Pole. At the end of 1911, Scott & his companions - Wilson, Oates, Bowers & Evans - set off for the Pole. Cherry & the rest of the team travelled with them, laying depots of food & supplies all the way. Expectations were high when the Polar Party departed from the rest as the outward journey had been positive & they calculated that Scott & his party would have no trouble reaching the Pole & returning. However, as the days lengthened into weeks with no sign of the Polar Party, Cherry & his companions realised that they would not be returning. They had to wait through another Antarctic winter before the relief party could go out to search for them & the tent with the bodies of Scott, Wilson & Bowers was found just eleven miles from One Ton Depot. Apsley Cherry-Garrard returned to England & served in WWI before being invalided out. The Worst Journey in the World has been called a great travel narrative & I suppose it is but I think it's a great classic of friendship, endurance & exploration under conditions that would have defeated lesser men. 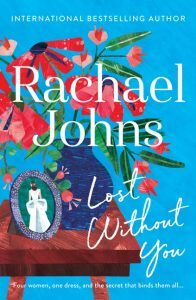 Rachael Johns is an Australian author who writes "life lit" stories (a genre she has coined) and this book is all about the lives of 4 different women who are connected through a wedding dress. 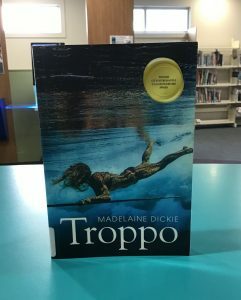 It's a beautifully written story - perfect for a summer read. This is a brief history of humankind from 70,000 years ago to the present. The author describes four critical periods of development, namely the Cognitive Revolution, the Agricultural Revolution, the Age of Empires, and the Scientific Revolution. 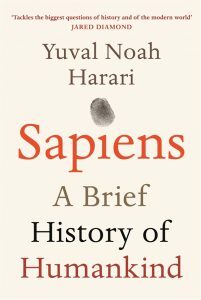 He believes these movements indicate the way in which Sapiens has come to dominate the world, by use of intellect and co-operation on an ever-increasing scale, and that it is our ability to weave myths and common ways of thinking that binds us together.This book is provocative, and shines a new light on our journey as a species to our present position as masters of the planet. The line between science and opinion is sometimes blurred, but it is readable and stimulating for those interested in both our past and our future. Burke & Wills is not a disappointment. 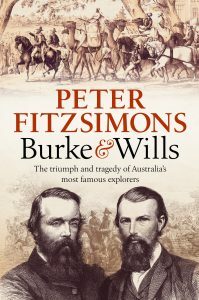 It is a familiar story to most Australians but Peter Fitzsimons brings it alive with his meticulous research (aided by a team of researchers), and humorous turn of phrase. It may not appeal however, to someone who holds Burke in high regard; he does not get off lightly in this telling of the tale. In fact, very few of the participants do. The mismanagement of the expedition from start to finish is truly astounding, something of which I was not really aware. There are two sides to every story of course and this is just one historian’s perspective, but it does make for enthralling reading. 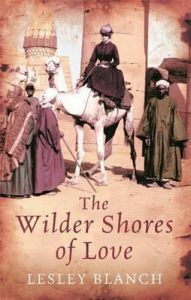 This book was originally published in 1954 and is a biography of four nineteenth century European women who leave their comfortable and civilised western society to find love in Arabia. 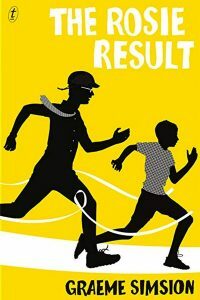 An exciting and relatively easy read. Great insight into Indonesian village culture and the way traditional and Islamic religions co-exist. Also into the intricate social construct of local vs ‘bule’. (ex-pat/foreigner) Written with a distinct Western Australian slant. Would you like to see your review featured? Send any items reviews to reviews@erl.vic.gov.au or get in touch through our social media pages!